Makower I Love You Hungry Caterpillar - Panel . A childrens patchwork panel, approximately 43 x 23 ½ (110 cm x 60 cm). 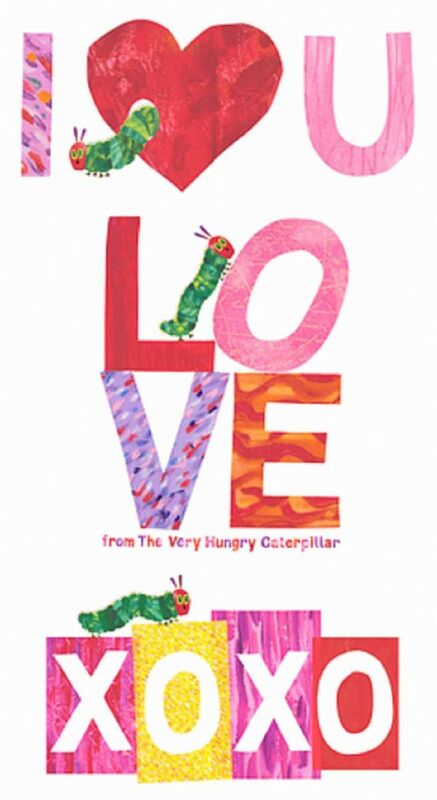 This brightly coloured panel features the Eric Carle caterpillar from the book. The childrens quilt shown is a free pattern from Makower fabrics.